As Chair (Full Professor) in Supply Chain Strategy at the Centre for Logistics and Supply Chain Management, Cranfield School of Management UK, Richard works with European and International companies on Logistics and Supply Chain projects in all sectors including pharmaceutical, retail, automotive, high technology, food, drink and professional services to name a few. He is a highly acclaimed presenter and regularly speaks at Industrial Conferences and has undertaken lecture tours of Europe and Asia at the invitation of local Universities & Confederations of Industry. He has published widely in the area of Supply Chain Management and is Editorial Advisor to a number of top journals in this area. 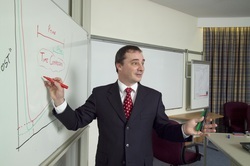 Richard was appointed in 2005 as the first ever Full Professor and Chair of "Supply Chain Risk Management" in the World. This was in recognition of his significant contribution to this subject area. Supply chain risk is still a key focus of his research within the context of an organisations overall Supply Chain Strategy, thus enabling companies to create sustainable and resilient competitive advantage. In recognition of his outstanding achievements in the area of logistics & supply chain management, Richard was appointed an Officer of the Most Excellent Order of the British Empire (OBE) by Queen Elizabeth II in the 2013 New Year Honours for services to Business. His exceptional contribution to engineering was recognized in November 2013 by the Institute of Engineering & Technology in awarding him the “Viscount Nuffield Silver Medal for Achievement in Design & Production” He was winner of the "Individual Contribution Award" at the "European Supply Chain Excellence Awards 2010". This is presented to the individual who has made an outstanding contribution to supply chain excellence. In 2009 his biography was entered into the 162nd edition of "Who's Who" described as "Britain's most famous reference book" for those who have "reached the pinnacle of excellence in their field". At the European Supply Chain Distinction Awards 2008, Professor Wilding received the 'Distinguished Service Award for Thought Leadership and Service to Supply Chain Management'. His Doctoral research, undertaken while employed at the University of Warwick, applied chaos and complexity science to logistics and supply chain management and resulted in the development of new management guidelines for supply chain re-engineering to mitigate risk. This innovative research received international media coverage including features on the BBC World Service and articles in the Times, Financial Times and New Scientist. More recently his research into inventory policies of organisations in times of risk and uncertainty resulted in international media coverage including live interviews on BBC1 Television News, BBC News 24, BBC Television's "The Money Programme", BBC 5 Live and Independent Radio News. The research was also covered by the print media including the Financial Times, Sunday Times, The Guardian, and The Independent newspapers. Richard is both a European and Chartered Engineer, he is a chartered fellow of the Institute of Engineering and Technology (Manufacturing Division) (FIET), the Chartered Institute of Logistics & Transport (FCILT) & Chartered Institute of Procurement & Supply (FCIPS). Professor Wilding was elected as Chairman of CILT UK in 2015 representing the 18,000 members as a Director and Trustee of the institute. He is a founder & steering Committee Member of the CILT "Logistics Research Network", a global network of academics and practitioners involved in state-of-the-art logistics and supply chain research. 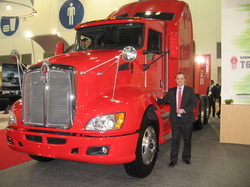 He is also Co-Chairman of the CILT "Leaders in Supply Chain" Forum, a group limited to the top 120 Logistics and Supply Chain Directors from Europe. Richard is also a Principal Fellow of The Higher Education Academy (PFHEA), the highest level of award granted by the Academy, for a sustained and effective record of impact at strategic level in academic practice and strategic leadership in teaching and the enhancement of the student learning experience in Higher Education. Richard's special areas of interest include the creation of collaborative business environments, reducing supply chain vulnerability and risk, time compression and techniques for aligning supply chains to maximise customer value and reduce cost.